SaaS businesses can no longer operate solely on their own. The most successful companies are not silos; instead they create rich channel partner relationships to drive competitive advantages, deepen customer value, and grow revenue. The Salesforce partner ecosystem is an excellent example of a thriving channel strategy, and also an ideal resource for identifying your future partners. 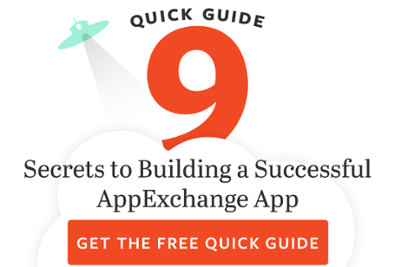 You've already reaped the benefits from launching your product on the AppExchange. Now's the time to take the next step and expand to new customers with a partner. Here are the top five things to think about when partnering with other AppExchange companies. 1. Visualize your product as features. What other features would it take to create a full solution? Talk to your customers to learn their wish list for technologies or solutions that might complement yours. Are there gaps they fill by integrating other solutions along with your product? For example, if you were an electronic signature solution, you might want to partner with a document management solution. You don't compete, and you create more value for customers with a turnkey solution. 2. Look for complementary companies that target the same customer profile. Is there substantial overlap in your ICP (Ideal Customer Profile)? It would be difficult for a company that targets SMB to partner with a company that focuses on Enterprise. You would not have alignment with sales cycle, pricing, customer success, and more. Leverage the AppExchange to help identify well-reviewed companies that share your customer profile. 3. Think about your product as a platform. Did you make it easy for people to build on top of your product? Did you expose the Apex class so other developers can automate your processes? Be ready to share manuals, APIs, and technical documentation. To go back to our original example, after a document has been created, can it automatically call and send that document out for signature? After the signature, can you pass that to the app to securely store it? You need to create seamless end user solutions via end user products. 4. Define your partner education process. Both teams need to be well-versed on the value prop of the combined solution. Think about how to educate you partner. Develop a program to provide step-by-step training that evolves as your partnerships evolve. From basic training videos to a comprehensive partner certification program, find the path that works for you. Communication and education fuel the number of closed deals. 5. Maximize revenue with a joint-selling and co-marketing plan. Be clear with your partner about your sales process, and what that process would look like together. If you're not in sync, your partner pipeline will suffer. It's critical that the lead data from your partner is integrated and synchronized with your CRM. Minimize conflict with transparent collaboration around lead approval, management, and distribution. Co-marketing is a key ingredient to generating pipeline. Develop a strategic plan, defining the allocated budget, and then track co-marketing ROI. Collaborate on campaigns and report on effectiveness to drive channel success. While all of the above are important, there is one more thing to consider when looking at potential partners: culture. You need to be aligned in your values, expectations, and goals to make your partnership thrive. Committing to a Partner Channel Strategy can create exponential revenue growth, as long as you employ a holistic view. Partnerships allow you to instantly expand to new markets with a more turnkey solution -- ultimately adding more value to customers. You only need to look at the success of the Salesforce partner ecosystem to see how far you can go.